The annual LAUSD school report cards were distributed with mixed result. 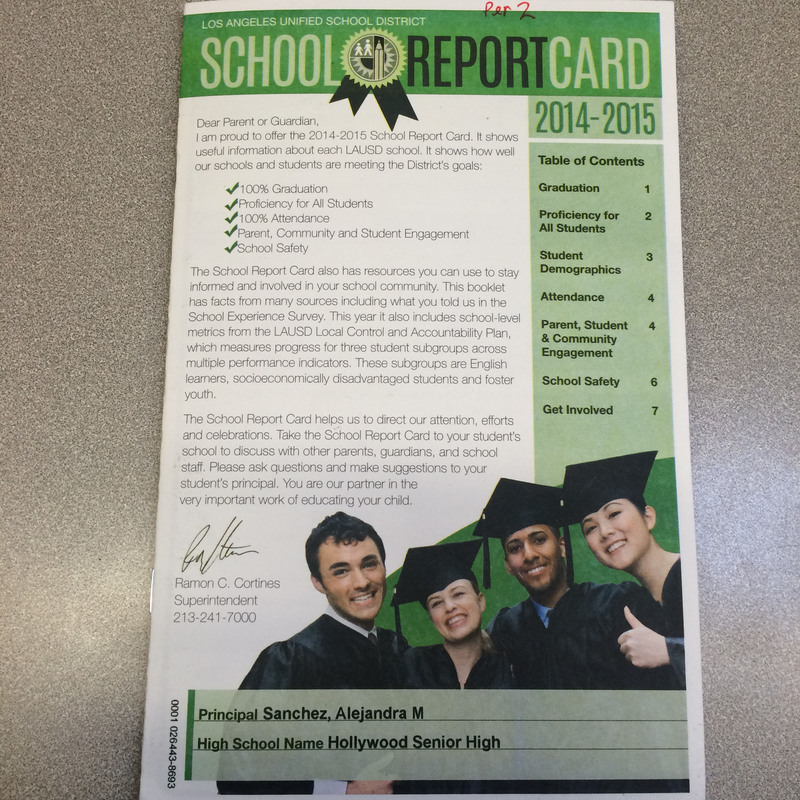 These report cards show the statistics from 2013-2015. On some categories, like demonstrating college and career readiness, shows improvement but on other categories, such as English learners’ progress toward reclassification as Fluent English Proficient (RFEP), scores declined by almost 20%. The report cards also mention the faculty and parents’ statistics from previous surveys. There have been many improvements since 2013. The average increase of students demonstrating college and career readiness is about 6%. The amount of students on the right track for high school and succeeding academically inclined by 10%. Students have improved academically in the last two years. There were some disappointing results as well. English learners, people whose first language is not English and are less than proficient in English, show signs of difficulty when their improvement rate declined by 20% as well as special needs students’ performance levels. Although the report card showed some flaws, the overall report is commendable and exemplary. Students this year seem to be showing some promising results for the school and themselves. They will not disappoint.